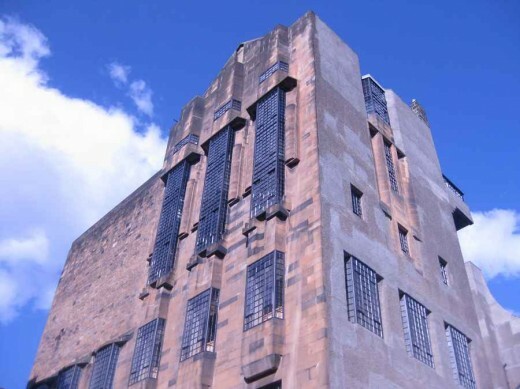 Work to dismantle the dangerous parts of the Mackintosh Building has been going to schedule it was confirmed today, 18 July 2018. Three cranes have been on site working from 7.30am – 7.30pm Monday- Thursday and 7.30am – 5pm Friday – Sunday. Work began on the central section of the South façade, above Sauchiehall Street, on Tuesday afternoon (11 July) and this section has now been lowered to the bottom of the parapet. Over the weekend of 14-15 July the South East staircase, which was one of the most fragile areas of the building, was taken down safely. The dismantling of this section is almost to first floor level. Work on the East end of the South façade is expected to continue for at least another two weeks. Simultaneously work has begun to lower the East gable. All of the coping stones on the top of the gable had suffered severe fracturing caused by the metal cramps which hold them expanding in the intensity of the fire. 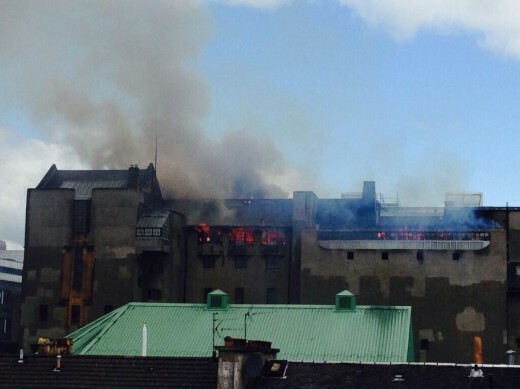 One sample has been retained with the remainder moved quickly and safely into the interior of the building. The central turret and top of the gable have now been removed, and the down-taking of the main section of the gable is now underway. On the North East façade the steel beams of the roof structure have been removed and reduction of the wall to the south of this area is now under way. In the centre of the North facade the turret and set back section directly above the main entrance have been removed, and the tops of the two return walls have been lowered to second floor level. Reduction of the walls immediately to the south of this area is now proceeding. Throughout the process the GSA contractor, Reigart, and expert structural engineers, David Narro Associates, have been assessing the condition of the masonry and then removing it in the safest way for both the workers and surrounding properties. Where stonework has been assessed as significantly damaged and too dangerous to lift off the building it has been pushed into the interior. The work has been undertaken to a methodology developed by David Narro Associates, which was shared with Glasgow City Council Building Standards and Historic Environment Scotland. Throughout the process the GSA is keeping in regular contact with Glasgow City Council Building Standards. The agreed methodology has an 8-week timetable. Timescales for the work will be influenced by the condition of the structure found at lower levels and the weather conditions, in particular wind speed which will influence the operation of hoists and MEWPS. “The plan of works will involve [site contractor] Reigart undertaking extensive down-takings and potential structural bracing. 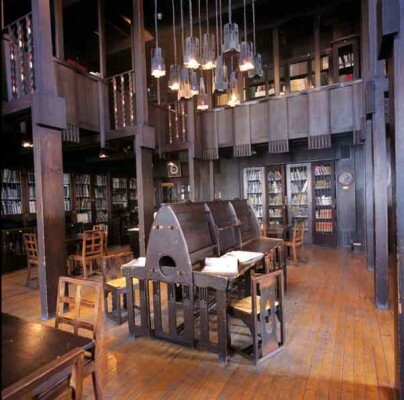 30 Jan – The GSA has been awarded major grant by AHRC to develop Mackintosh Building immersive exhibit. 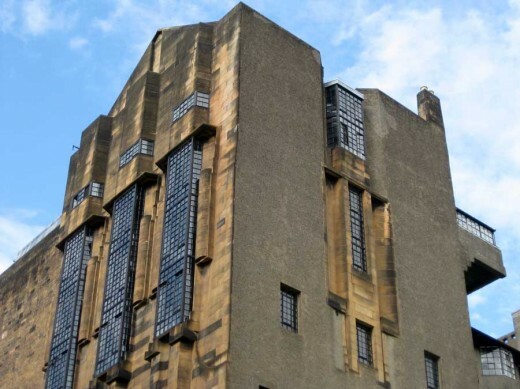 There was a major step forward in the restoration of the Mackintosh Building today, Tuesday 31 March 2015, as The Glasgow School of Art announced the appointment of a design team led by Page \ Park Architects. The appointment was made following presentations by a shortlist of five architecture practices earlier this month. July 19, 2018 in Architects.